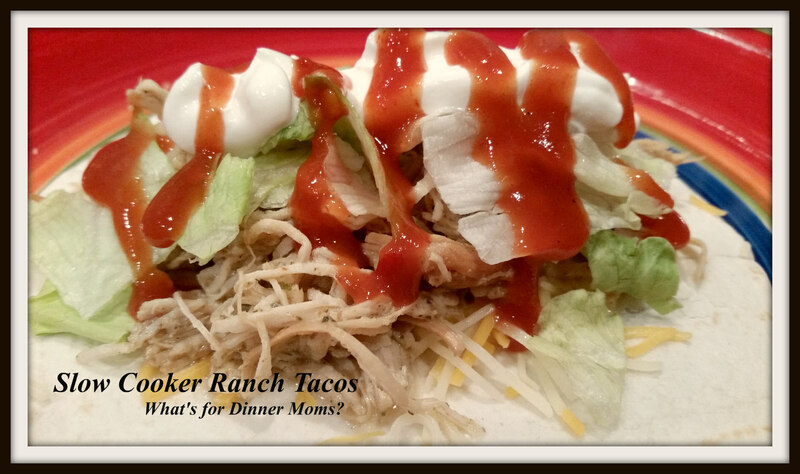 Ranch Chicken Slow Cooker Tacos and My Love/Hate Relationship with Social Media – What's for Dinner Moms? I love Social Media. I am on Twitter (@koolaidmoms2), Facebook (What’s for Dinner Moms? ), Instagram (@Koolaidmoms) and Pinterest (Koolaidmoms). Click on any of the links to be connected to me in social media. It is fast paced and ever-changing. I am constantly finding new groups and new ideas not only for recipes, but travel, home and life. But, there is also a downside. The fast paced interactions mean that I feel that I have to answer everything immediately. It seems that there is never a down time. Even when people don’t say they need an answer immediately I feel the need to get it done now. Every time I hear the little ping of my phone I can’t help but want to reach for it. It can be tiring. I have to move my phone away from my bed because it now wakes me up at night when it pings. Also, sometimes the news flow is overwhelming. Especially, when it is filled with negative news as my feeds have been lately about the election it tends to make me sad or nervous. It feels like it is bringing my whole world to a stop at times. But, I must go on and I will trying to keep my head up and the negative news at bay. Once again my slow cooker helped save me from buying take-out for dinner. It was a crazy busy day and my schedule was in turmoil. I had no idea what I was going to serve for dinner, which is rare for me, and couldn’t think of what to make. Then I remembered I had seen a recipe for Ranch Chicken tacos somewhere. I didn’t have time to find the recipe but I decided to “just wing it” and see what happened. When we returned from dance at 8:20 pm my daughter stopped in the mud room and said, “I think I ‘ll just stand here for a while because it smells soooo good.” She was right. It smelled amazing. It was easy to then go in and have dinner. It didn’t feel like a chore because all we needed to do was take out the cheese, sour cream, lettuce, salsa and ranch dressing from the refrigerator. Heat up a few tortillas in the microwave and we were eating dinner! I don’t know if the addition of the ranch dressing mix really changed the flavor as much as I thought it would but these were delicious! We like tacos anyway but these did seem extra flavorful. I am not sure if it was because we were super hungry or because the addition of the flavor packet. I do have to say that this will definitely go into our repeat again pile! toppings as desired such as: ranch dressing, sour cream, salsa, lettuce, tomato, onions, olives, etc…. Place chicken breasts in bottom of the slow cooker. Sprinkle ranch packet and spices over the chicken. Add chicken stock or water to the bowl. Cover and cook on low for 6-8 hours until completely cooked through. Remove breasts from slow cooker and shred with two forks. Return chicken to slow cooker bowl and stir with any liquid left in the bowl. Taste and adjust spices as needed. Serve on tortillas or taco shells with desired toppings. I am definitely trying this. Social media! I can’t figure out all of them so just have a personal Facebook. But there is a pressure to answer everything on email and texts immediately. I hear you there! I wanted to make tacos today and actually wanted to make my own taco seasoning so this post comes in handy because the recipe book I thought had a recipe for making your own did not. So I’m writing this one down. Thanks! It is a bit spicy so if you like less spice cut back the chili powder/Cayenne powder and add at the end to taste. We love lots of flavor! I had to smile I am running 8 web sites, member of Tasty KItchen.com, on Twitter, Bloglovin and that is quite enough with five children, a 6,000 sq. ft beachfront home, hubs, gardens to soon plant (from my seedlings) in-ground pool (someone has to clean it), citrus garden, on , and on…Yo thank goodness I have help from family or I’d be pulling my hair out Marci!!! That ping makes me jittery now I can’t imagine with all that! Tune it out Marci-Family and Home first is my motto! I agree social media is great but also very time consuming! I love this recipe! I agree yumm let’s stand there and smell this aroma! Thank you! I love when my kids say things like that! Sounds so good! And I have the same issue, I love social media, but I have to turn off my notifications! Keeping up with social media is definitely tiring! Sometimes you just need to take a break from it all. The tacos look yummilicious! Thank you! I try to on weekends but this was a particularly trying weekend when my phone needed to be on so every little ping was heard! You are so right about the double edged sword. FB gives you 5 minutes to answer a posting to your page to be considered “Highly Engaged.” I haven’t made it yet. Lol. Yes, for a group page or fan page it is 5 minutes! I am highly unengaged too.